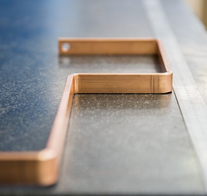 At Metelec, we carry a wide range of copper sheets. 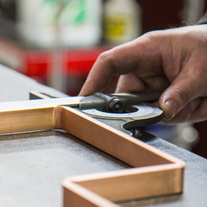 All of our copper sheets are manufactured in Europe. 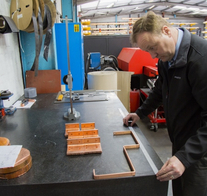 Most of our copper sheets are available from stock and all bespoke products within the scope of our manufacturing range can be made available on short lead times. We are also able to offer a cut to size service as well as various different polishes. For more information, please do not hesitate to give us a call on +44 (0)1922 712665. BSEN 1172, 1652, 1653, 1654. Supercedes BS 2870. Electrolytic, tough pitch, high conductivity copper. Suitable for conductors & fabricated electrical components (but not in red atmosphere). Oxygen free high conductivity copper. Phosphorus deoxidised arsenic free copper (suitable for brazing). 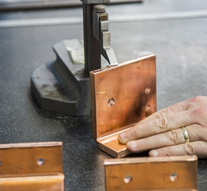 For general & chemical engineering, particularly when brazing or welding is involved.